Photographed by Mario Testino, Gisele and Neymar da Silva Santos Júnior, two of Brazil’s most appreciated celebrities try to bring attention to the 2014 FIFA World Cup to take place in Brazil from June 12th to July 13th. If the soccer fans energy could be transformed into electric energy, I think the lightbulbs of the world would never go off! So that’s quite a powerful way to kick start the new week! Work hard, play hard, isn’t that what they say? 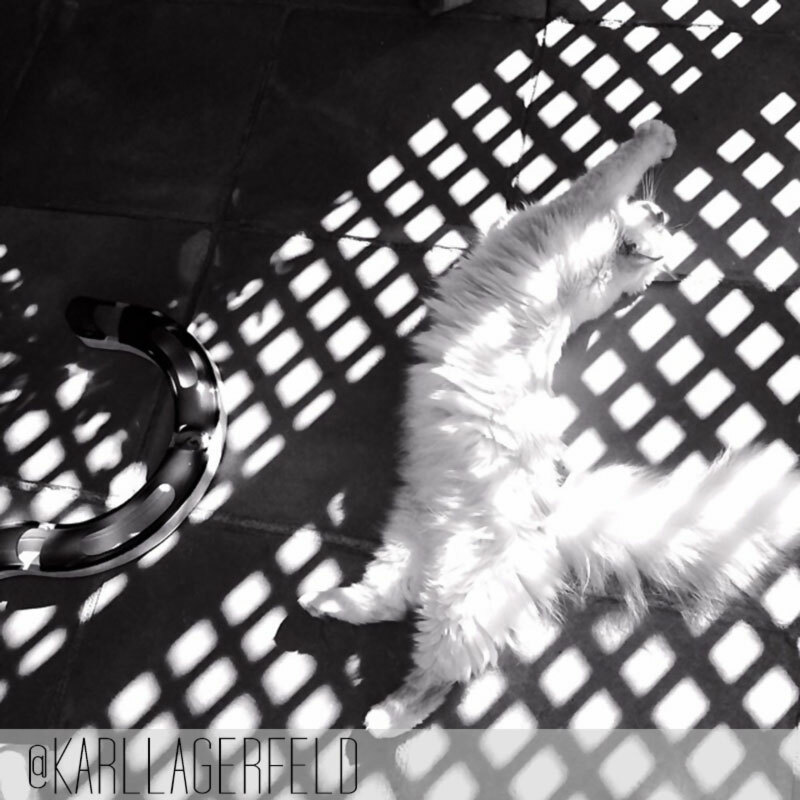 One of the most proficient designers the world has ever seen, Karl Lagerfeld, shows his softer side by taking a beautiful black&white picture of his cat. A relaxed way to look at this Memorial Day Monday, don’t forget your morning workout! Can be anything from stretching to cardio, but working out, you’ll get 10% smarter (scientifically proven)! Some fashion people are already working their magic as Milla posted a very artistic picture with Japan in the background, all decked out in Chanel. She’s attending her husband’s latest movie premiere in Tokyo. Hopefully, Paul W.S. Anderson’s Pompeii will do better (it wasn’t well received worldwide so far) just because Milla supports the cause! She looks menacingly convincing! 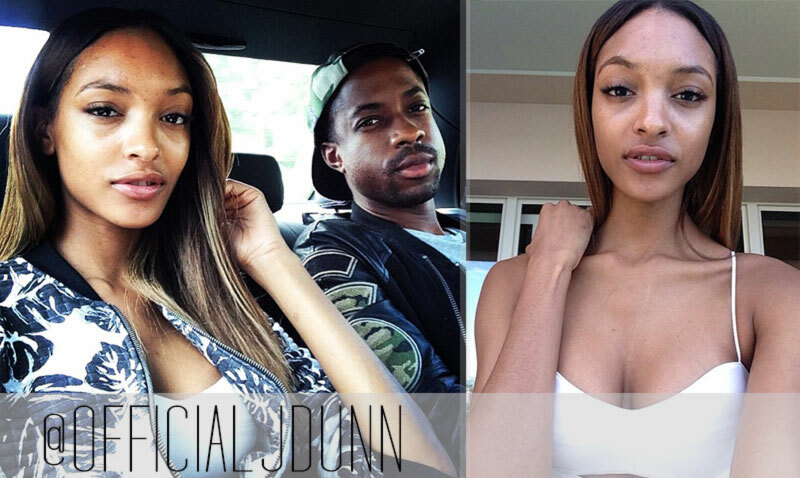 Based in Monaco, the World Music Awards will take place tomorrow, May 27 2014 and Jourdan is heading there with the ultimate partygoer Manny UK (photographed next to the model). Because we all gotta travel one Monday or the other, it-girl, model and Russian Billionaire wife Elena Perminova is showing us what airport style means and how one can wear a lace mini skirt for traveling purposes (no word about the destination, though)! Fabulous yet very formal Memorial Day attire – can you believe she just gave birth to her third child less than two months ago? See more: Models and their children! Getting an early start is just as important as working out every day. 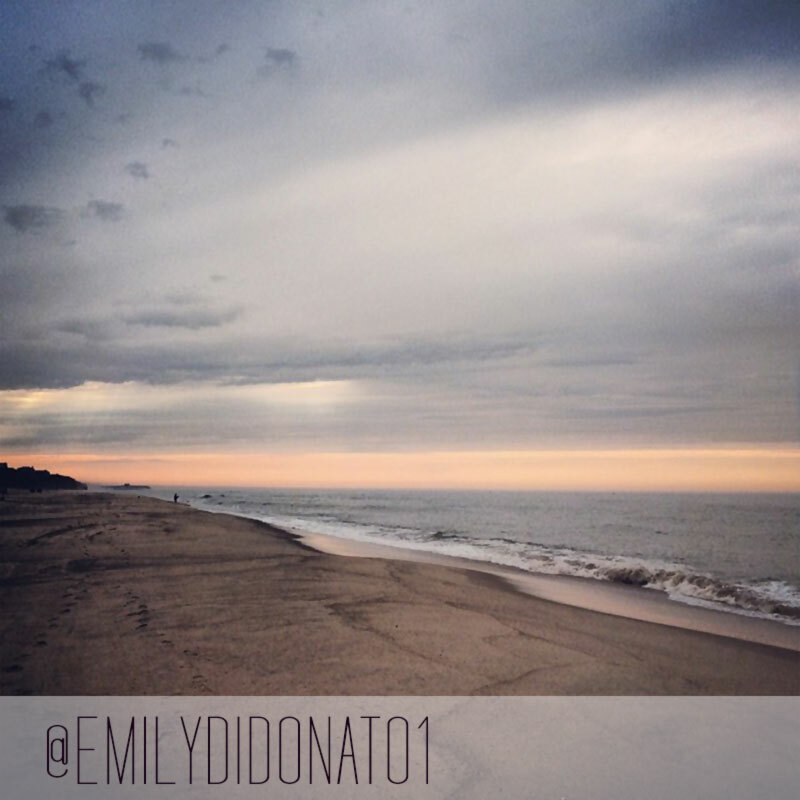 American Model Emily DiDonato seems to be taking advantage of the long weekend in Montauk as she shared a photo of an early cloudy beach sky. Beautiful view, nonetheless! 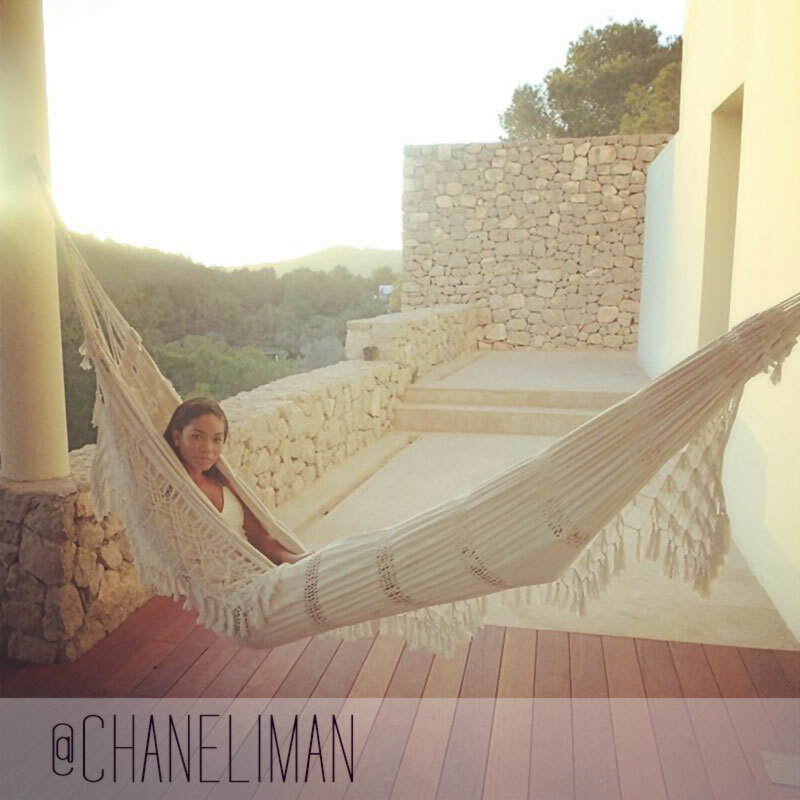 Talking about early starts and getting the most of the long weekend – that’s exactly what Chanel Iman seems to be doing in Ibiza. How amazing is that place and yet, so simple and natural? Stone and wood have a perfect way to balance out the everyday chaos. Yet another idea for the long weekend, another model chose an exotic destination as Josephine Skriver just mentioned a nice Caribbean resort named Mayakoba where she said she spent the most wonderful time. While taking advantage of the Bank Holiday in London, Hana Jirickova keeps the sun in her steps with a pair of pretty metallic shades. A black biker jacket and the black umbrella will keep her protected from the rain while going out and about London town. 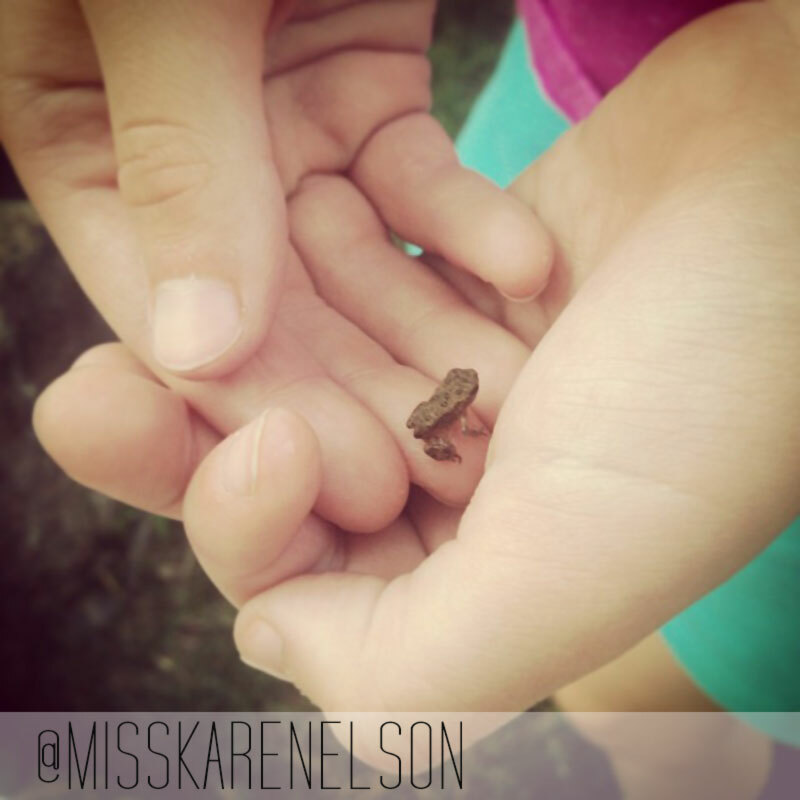 How adorable are those baby frogs as shared by Karen Elson and how amazing it is to have time and space in our lives for the littlest things, the littlest creatures! No beach, no fashion magazine cover and no splashy backdrop. Just the simple life! So many others choose exotic places, far getaways to reconnect, Zac Posen seems to be getting his energy back at the source, at his family’s place. 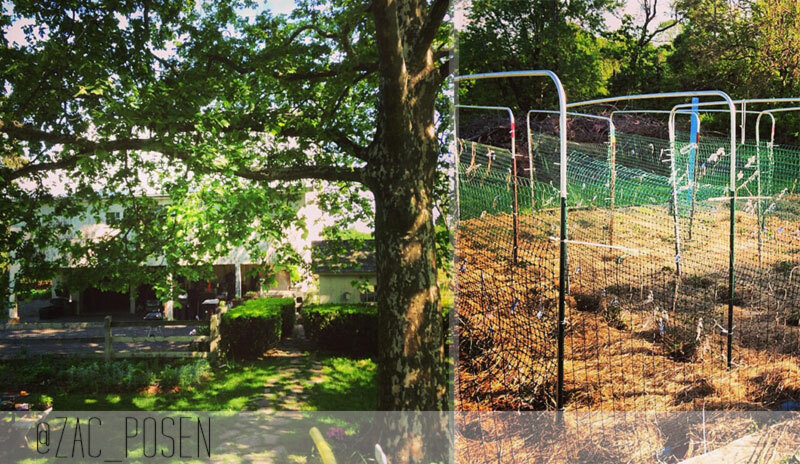 A peaceful view of the backyard or a glimpse at the tomatoes garden is enough to make us swoon and imagine him drawing fantastic ballgowns under the sycamore tree! See also: Zac Posen on the Red Carpet! 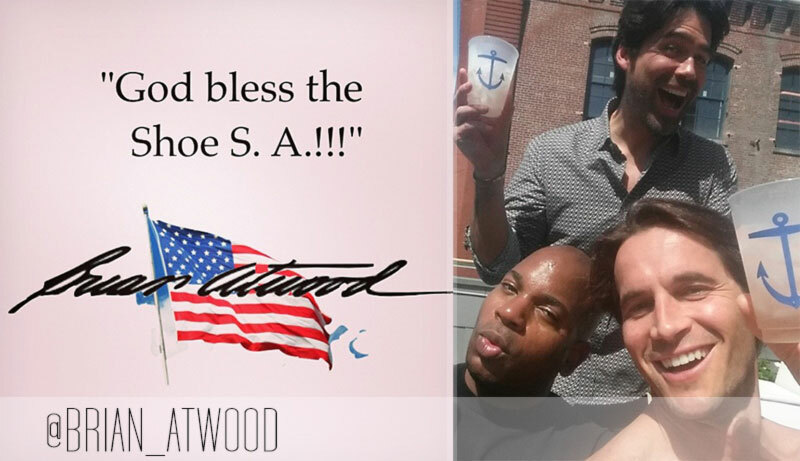 Memorial Day seems to have some strange footwear connotation for Brian Atwood. He issued a special greeting card for the occasion which reads gloriously ‘God Bless the Shoes S.A.!!!’. A strangely ambivalent greeting for such an occasion. There’s an adventurer in every one of us. 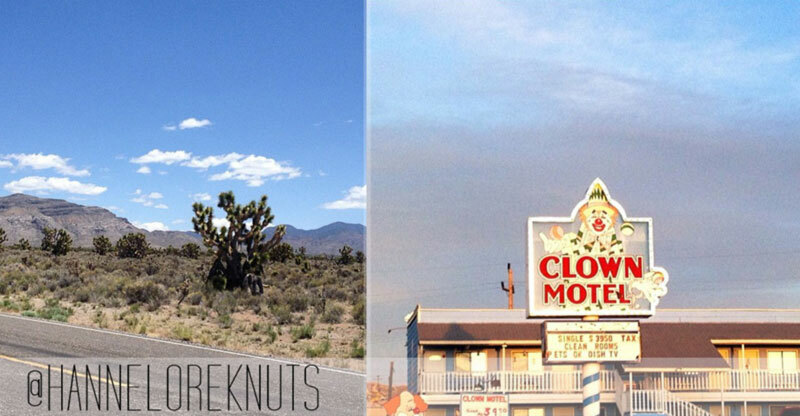 Hannelore Knuts took the desert way this Memorial Day and she’s been careful enough not to choose Clown Motel! For this Memorial Day, Irina Shayk stuck her long pins behind the wheel of a speedboat wearing really short shorts and a Nike cap to keep her famous pout protected from the harmful UV light. Another gorgeous model and another pool moment for the long weekend. Maria Borges lounged around her own house’s pool in a beautiful blue swimsuit. All that’s missing are the stars, I see plenty of spaghetti stripes on her back! She later took Central Park alley’s having fun on her bicycle. 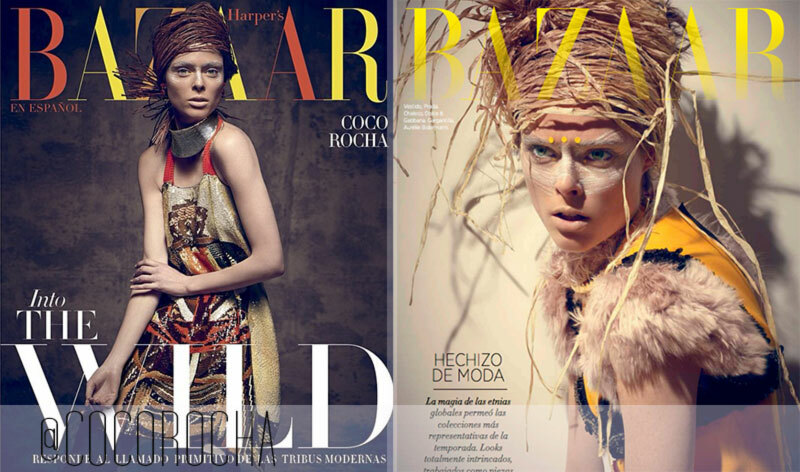 What a wildly beautiful cover for Coco Rocha and the Harper’s Bazaar en Espanol! Photographed by Xevi Muntane, Coco looks fabulous as always and naturally catchy and judging by the preview, the inside pictorial lives up to the covers’ expectations! 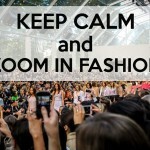 See more: Fabulous pictorials with Coco Rocha! Whenever we’re allowed to peak at some famous fashion people’s home we’re beyond enchanted with the usual perfection of every detail. 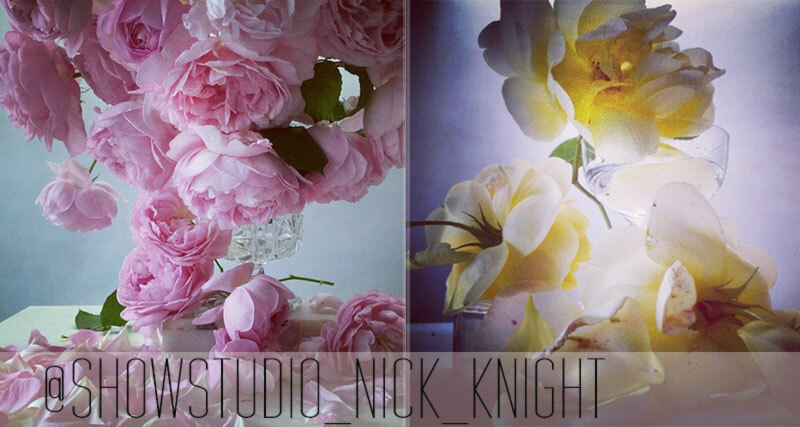 Esteemed photographer Nick Knight captured the ethereal beauty of pink and yellow roses in a vase, picked straight from his garden. A wonderful way to remind us that beauty is everywhere around us, really close and really accessible! 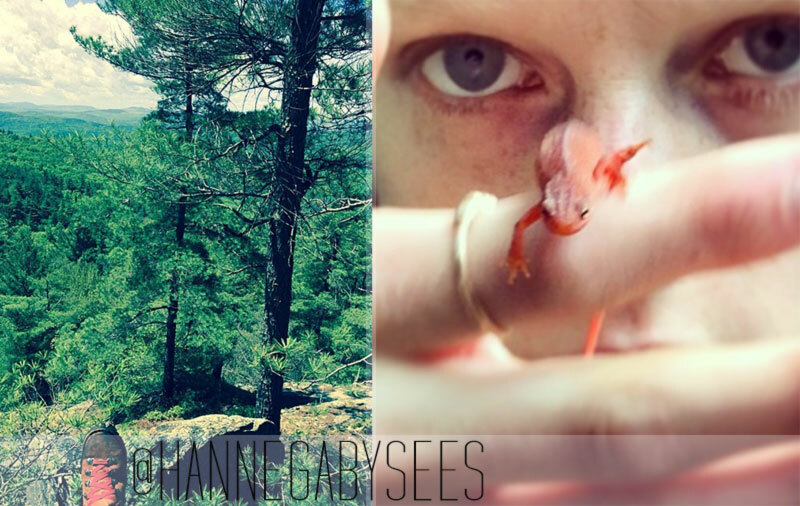 Known for her natural beauty and quirky style, Hanne Gaby Odiele went for a mountain walk to celebrate Memorial Day. After she greeted us with a tiny lizard, we got a peak at her red laced boots and we can only assume that she was wearing one of her uniquely mixed and matched outfits! Known for being a festival spirit and a rather hippie gal at heart, Victoria’s Secret model Alessandra Ambrosio wished everyone a beautiful weekend. Her gorgeous smile makes the day shine brighter and the BBQ behind her doesn’t look like model diet at all! Bank holidays are not work free days for models as Adriana Lima shared her Memorial Day schedule surrounded by mirrors and Everlast punching bags. 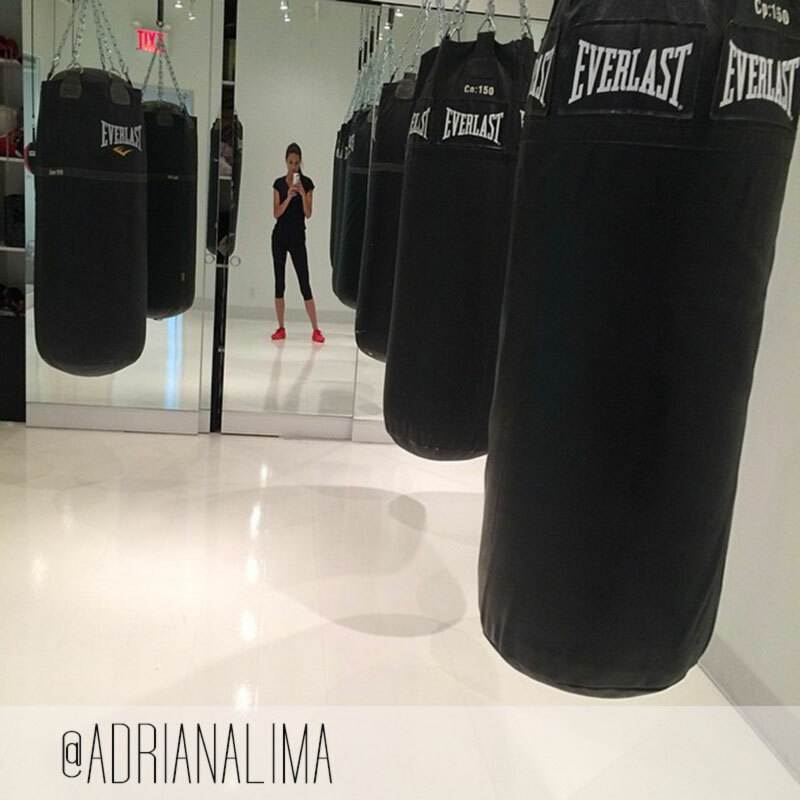 Adriana is a known kickboxing fan so it’s maybe her passion that’s pushing her out the door and into the gym. Happy Punching… ahem Memorial Day, Adriana! 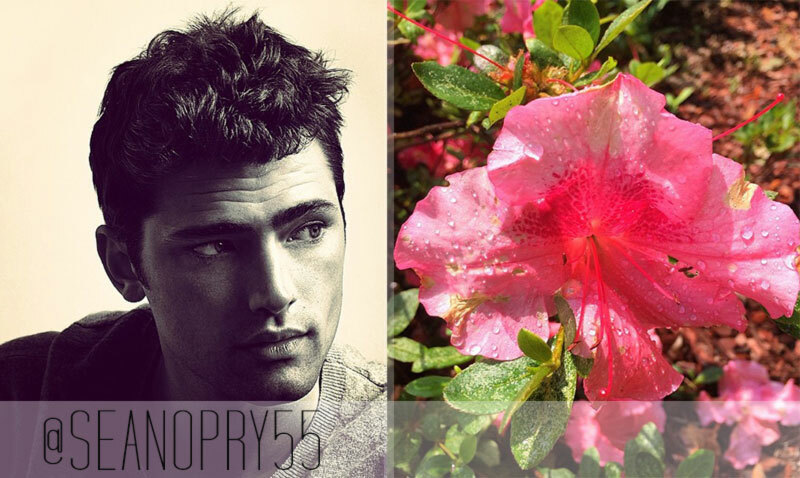 Much like Nick Knight or Zac Posen, male top model Sean O’Pry wished everyone a Happy Memorial Day with a pretty flower from his home in Georgia. Rather simple but very lovely, this makes for a very candid and honest moment to share on. All grands have the weaknesses, right? 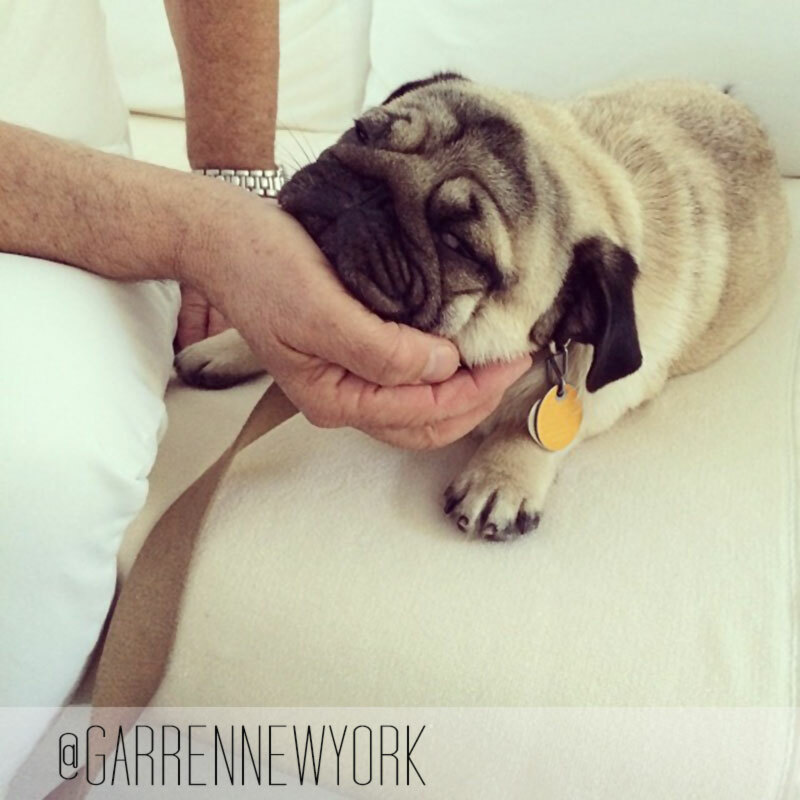 After Lagerfeld’s stretching portrait of Choupette, here’s Hugo, a sleepy pug who won’t go for his long weekend walk! Pretty adorable, isn’t it? 24. 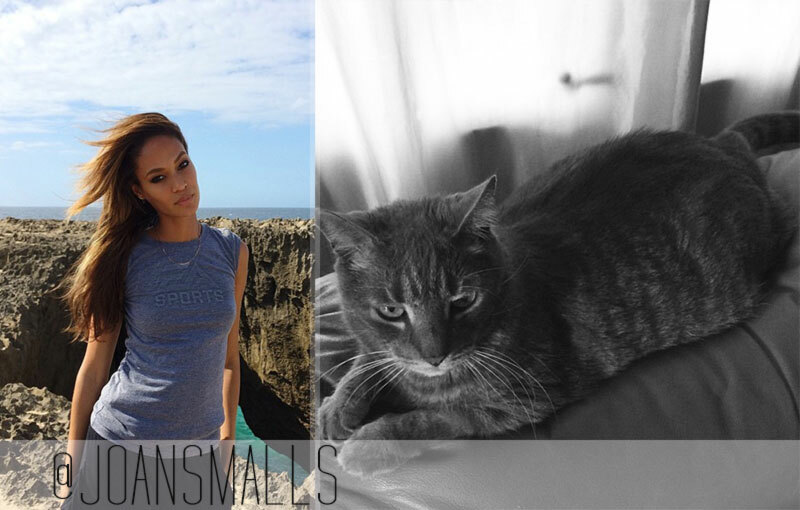 Joan Smalls has a cat! Did you know that? And he goes by the name of Mr. Grey! A peaceful picture of him was gracefully shown to us by Joan who seems to be having a wonderful family time for Memorial Day! 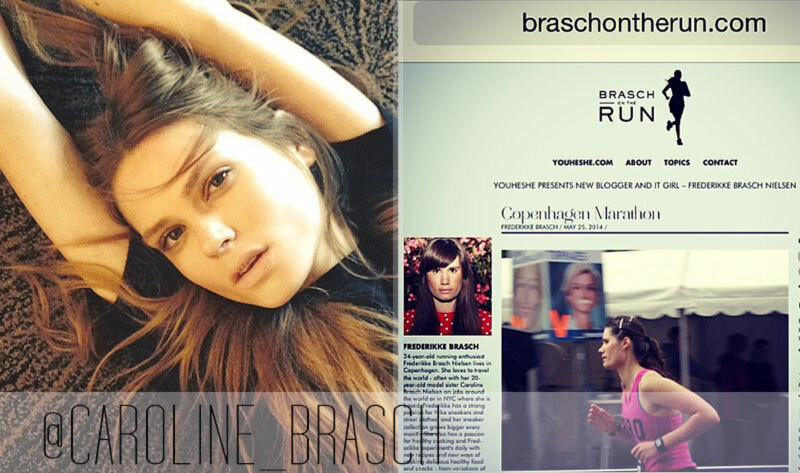 Brasch on the Run is Caroline Brasch Nielsen’s new blog. A running enthusiast living in Copenhagen, that’s how Frederikke Brasch described herself on the ‘blogger and it girl’’s new page which is getting a kick forward from sis Caroline. Right now, the famous photographers duo are obsession over Kiesza. Her Hideaway dace streetfest seems to be on repeat in their household. At such point that they’re even recommending it to Emmanuelle Alt… Why would that be? Let’s watch and see if we find out?